Standard VW drum brakes are perfectly up to the task of stopping a stock Bus, provided they’re in good condition. 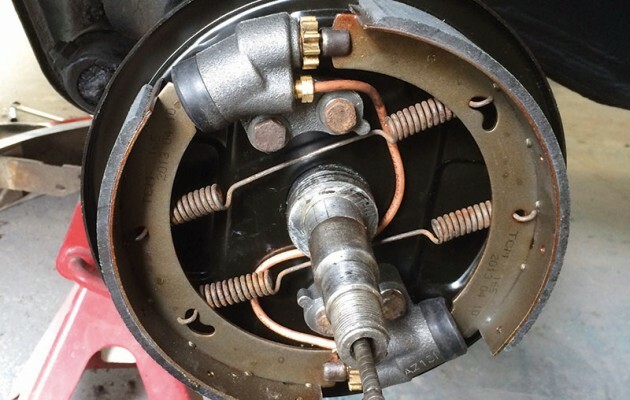 Here’s our front drum brake overhaul guide. Volkswagen, in their wisdom, decided to keep fitting drum brakes to the front of Buses up until August 1970. Although they are a bit more of a pain to maintain than disc brakes, and will fade if used continually in anger (think long downhill stretches), they are actually perfectly adequate, provided they are correctly maintained. If you want to transform your VW’s braking experience, upgrading to a servo should be your first port of call, rather than just buying expensive disc brakes, as even the best disc brakes won’t lessen the pedal effort required to stop a heavy Bus. 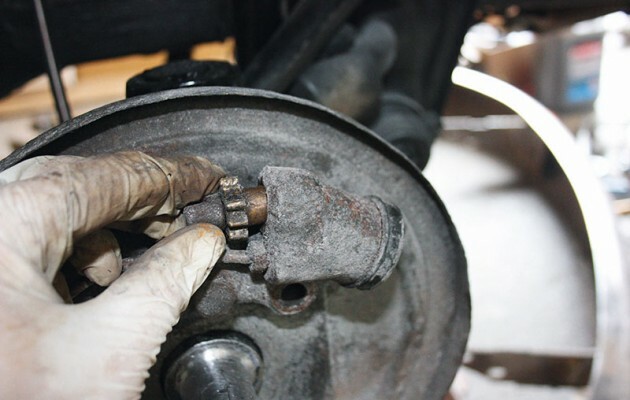 It’s pointless doing any of this, however, if your brake system is poorly maintained so, even if your Bus went straight through the last MoT test, you’d be wise to roll up your sleeves and open up the patient for inspection. Ready? Let’s dive in to the front drum brake overhaul. StrictlyAircooled San Diego your local Volkswagen Mechanic Shop- Front Brake Overhaul Service Guide. Remember to visit: Strictly Aircooled Volkswagen Bugs mechanic shop in San Diego.